imageMEDIA provides high-quality, full-color printing, direct mail marketing and digital advertising services in Wisconsin — Postcards, Posters, Brochures, Business Cards and more! imageMEDIA is located in Tarpon Springs, a thriving community on the west coast of Florida known for it’s rich history in sponge diving. This convenient central Florida location makes us the perfect choice for your Wisconsin printing, direct mail and digital advertising needs. Your Milwaukee Local Printer: From Kenosha to Superior imageMEDIA provides high quality printing services, affordable value and friendly customer service to the people and businesses of Wisconsin. Whether you need services for Milwaukee printing job, a Madison printing job, a Green Bay printing job or other printing in Wisconsin, we can provide you with the quality and affordable value that you need and expect. We deliver quality and value to your organization. Our printing professionals are continuously monitoring to ensure that our presses deliver tremendous quality all the time. Each job is inspected and the accuracy and quality of your job is inspected. Your Wisconsin printing job will turn out great. It starts with your artwork. We provide several ways to produce your artwork with proofing system that ensure that you get the pieces that you expect. When you bring your own artwork, we offer Free File Check as pre-order tool to verify that your files will print correctly. Automated order tracking allows you to know how your Wisconsin printing job is progressing when you need to know it. Whether you are in Milwaukee, Oshkosh or New Glarus, you have the ability to track your order day and night. And if there is a problem, or you just have a question, our helpful and friendly customer support team can be readily reached. We keep you informed throughout the process so that you can keep your attention on your business. We offer multiple delivery options for your Wisconsin printing job including drop shipping, blind shipping, direct mail and even warehousing (for storing your pieces between mail drops in a direct mailing campaign). So for your end-to-end supplier of printing, for Appleton to Waukesha, choose imageMEDIA for quality, value and friendly customer support. Not only do we provide you quality and value across a broad range of products – such as postcard printing, brochure printing, business card printing and more – we also have several tools to make your Wisconsin printing job easier. Producing the right artwork for your Wisconsin printing job can be difficult. That’s why imageMEDIA has created several tools to make it easier. First, for business card printing and postcard printing, we offer you free online design tools. Start with a background image to create your own business card or postcard design. If you need some help, or would prefer to hand the job off, we offer a large selection of pre-designed templates to cut the time and the cost out of creating your image. Select the template that best suits you and then our talented design staff can quickly produce your custom artwork. Of course, if you need something completely custom, our designers can work with you to build the piece that you desire. Direct mail campaigns are an effective and affordable way to promote your organization’s offering, but there are a lot of variables that affect the outcome. imageMEDIA has produced the Direct Mail Return on Investment Calculator to help you address all of the mailing campaign issues and ensure that you are making wise decisions. With this tool, you can consider all the aspects of your Wisconsin printing and direct mail campaign. Adjust the printed quantity, the mailing list quantity, even the revenue per responder and more to simulate your campaign. You’ll be able to discover break even points and profitability easily with real-time graphs and you can save the results for reference or to share with colleagues and decision makers within your organization. For convenience, the ROI Calculator is integrated to use imageMEDIA mailable products with real-time pricing, however you can also plug-in custom numbers if required. When you need a WI printer choose your neighbor on the web, imageMEDIA. In addition to printing and direct mail marketing, imageMEDIA can help you reach more Wisconsin customers with local digital advertising and online banner ads. 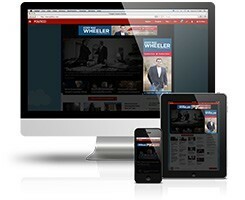 Now your business can deliver affordable Wisconsin digital advertising to customers on premium websites like Fox News, ESPN, Facebook and more — on any device. Nurture interest with retargeting and deliver online banner ads to customers that have visited your website. Reach new customers in Wisconsin online with digital advertising by targeting interests and demographics using the same data as Fortune 500 companies. People walk out to their mailbox and spend countless hours online every day. 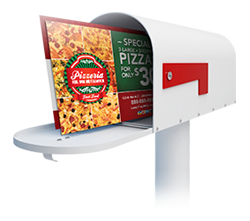 We make sure you never miss an opportunity to reach new customers by delivering your Wisconsin direct mail marketing and local digital advertising to the right customer at just the right time. Contact us and learn more about why imageMedia is the perfect partner for all of your local Wisconsin printing, direct mail and digital advertising needs. Complete the form below and download a free marketing toolkit that includes printing, direct mail and digital ad design samples, information about imageMEDIA and some great ideas to help you reach new Wisconsin customers and grow your business. Available for download instantly!